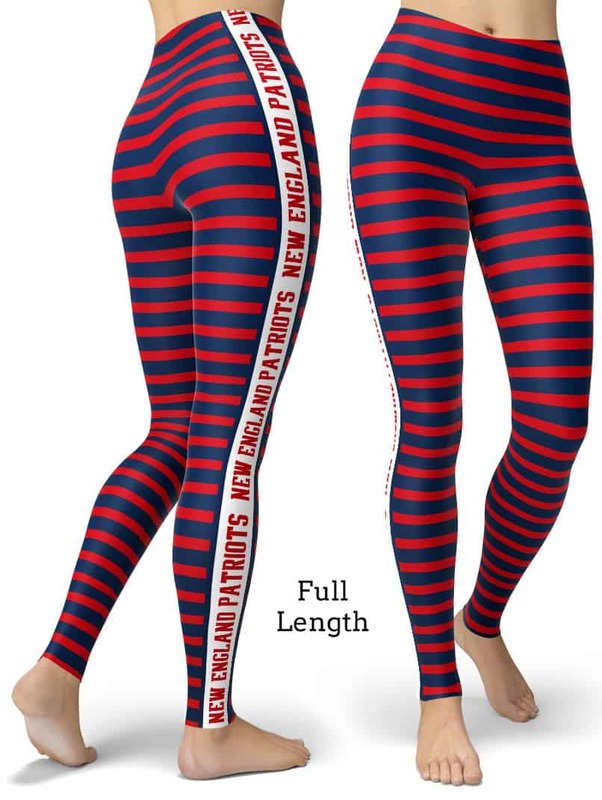 The words “New England Patriots” runs down the side of the legs within the side stripe. 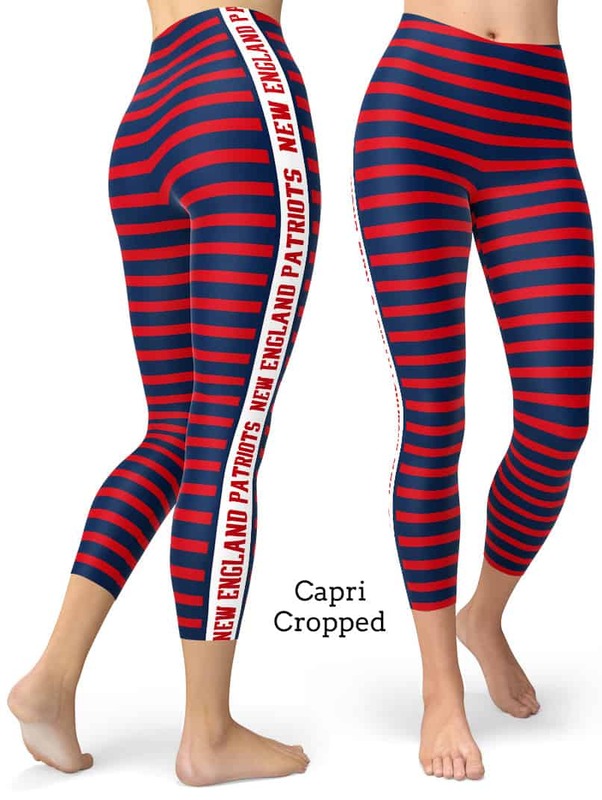 Perfect leggings for tailgating at the NFL Football New England Patriots Games. 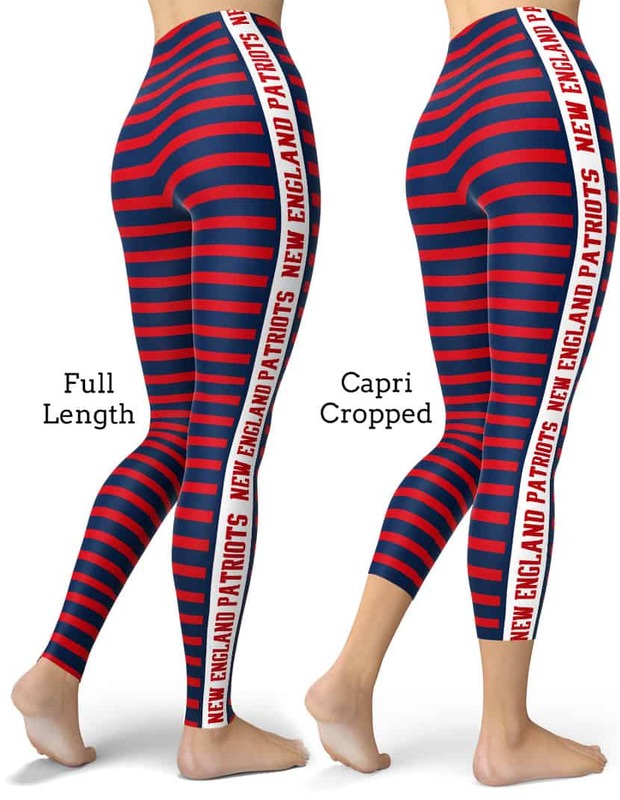 These New England polyester/spandex leggings will never lose their stretch and provide that support and comfort you love in unique designs. Made 100% in California, sweatshop free.